RENOTEC® » Super Hydrophobic Treatment Systems. All surfaces. Germany is known for its innovation, performance technologies and high quality products. RENOTEC® is a leader in roof coatings. 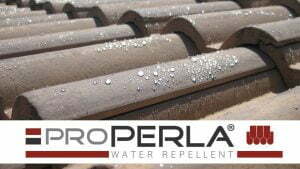 Engineered to improve roofs to resist weather influences caused by rain, frost and sun. Our systems have the most rigorous quality standards. Learn more about ISO9001 standard. 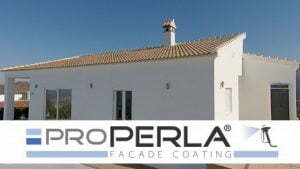 Roof coatings with a molecular structure especially designed with the latest technology. The the are very resistant against adverse weather conditions. Super hydrophobic and clear treatment for all mineral building surfaces such as clay, concrete, terracotta, natural stone, slate, fiber cement, etc. This unique coating technology makes facades self-cleaning, extremely water repellent & allows the walls to breathe naturally. 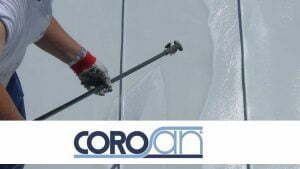 Superior technology that creates an invisible insulation barrier by reducing water absorption. 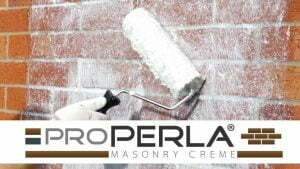 Designed to insulate bricks and porous building materials. Water based solution, designed to be used on all mineral surfaces, such as concrete slabs, paving stones, terraces and many more. 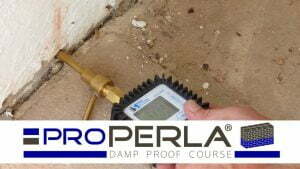 Injection system for professional treatment against rising damp. UV resistant clear wood impregnation for a long lifespan of your wood surfaces. High performance coating developed for metal facades of industrial buildings. Protects from heat, surface erosion, growth of microorganisms and UV rays. Several components are affected when a renovation is carried out, such as roof tiles, framework and gutters. It is not recommended to execute house repairs by home owners. Experts can avoid mistakes, which finally could lead into future problems such as frost damage. Always consider to obtain know-how from a specialist. Not only proper use of application equipment is required, but wind and weather conditions need to be considered when executing repair works. An appropriate security equipment is mandatory. The inclination and the substructure needs to be evaluated before walking on a roof in order to avoid personal injury. The geographical location of a house defines in most cases the colors to use for roof coatings. RENOTEC® takes in consideration local customs by offering a wide range of colours used across European towns and villages. Colours offered by our experts are frequently very modern and produced according to the latest technology. Our high quality pigments combined with ultimate binding agents give to your property the highly demanded color stability and freshness. The surface smoothness is due to the molecular structure that results from the treatment. Mosses, lichens and algae are no longer able to grow on the surface. RENOTEC® coatings haven an extreme adherence to the substrate, but remains flexible and resists to all temperature temperature variations during the year. Hence, a long lasting life span is guaranteed with a modern roof colour against surface erosion. Apart from the traditional brick-red roof, other colours such as green, blue, anthracite, rustic, etc. as well as different brown tones and red tones are available. With RENOTEC® coatings home owners can enjoy an unique roof surface in their neighborhood, in perfect combination with the architectural style of their home. Please contact us if you need more information about our products, systems and services. The special cleaning agent removes spores, lichens, moss etc. It causes no damage to the tiles nor the coatings. This method is a very eco-friendly way to clean a roof. After the roof has been cleaned, all damaged roof tiles needs to be changed. It is advised to let a professional do the work. 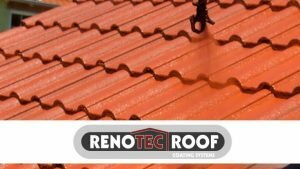 Once the broken roof tiles have been removed, the roof will be ready to use a RENOTEC® Roof Coating treatment. It is important to clean the roof every 5 – 10 years, because contaminations, moss and algae can deteriorate its tiles, and the underlying insulation. It is more expensive to repair a damaged roof, than prevent it from happening. A surface treated with RENOTEC® coatings will be self-cleaning, extremely hydrophobic, and allows the roof to breathe naturally. For performance reasons, it is advised to do a complete roof cleaning every 5 or 10 years. It is possible to do this in several different ways. The most economic option is to clean it with high pressure. The surface is cleaned with high pressure, between 230 to 280 bars. The contaminations, moss and algae will easily be washed off. After the roof has been cleaned, it is important to remove and change broken tiles. 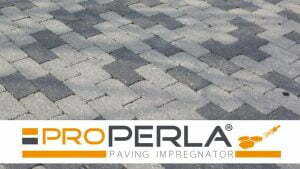 The last step is to apply a clear proPERLA® impregnation. It is important to let a professional do the work, because mistakes can have bad consequences later on. Once the impregnation has been applied, it is just time to enjoy a hydrophobic and beautiful surface for many years. However, every material cannot be used, as the inclination of plays a very big role when the material is chosen. The most familiar variation is the brick roofing. In this occasion it is mostly the glazed and subdued roofing tiles that are offered in different colours. A brick roofing with clay bricks, as for example beaver’s tail brick, grooved tile or hollow brick, is suited for an inclination of 22°-90°. The second variation is the roofing with concrete tiles of highly compressed special concrete. Concrete roof tiles are found in the specialized trade either with smooth or granular surface in different dimensions, forms and colours. To get a roof with concrete roof stones is also possible with a roof inclination of 22 °-90 °. Surfaces with low inclination from 2 ° to maximum 35°, can be covered with metal elements such as copper, titanium, zinc, aluminum or galvanized steel. A different variation is slate roofing. A slate brick are a natural product, and not meant to be coated. They are recommended for roofs with inclinations to maximum 22 °. Another variation is fiber cement roofing. The fiber cement roofing is carried with the help of the so-called roof records which are available in the specialized trade also in different dimensions, colors and forms. This kind of roofing is suitable for inclinations of 25° to 90°. For detailed information about our systems, products and services please do not hesitate to contact us. No spam. No daily emails. © 2019 BECO TREAT ApS · © 2019 proPERLA · All rights reserved.